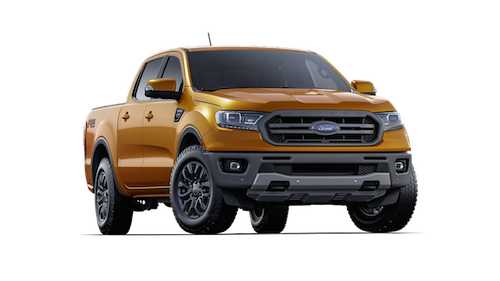 The 2019 Ford Ranger is returning to the Ford lineup with a brand new design, upgraded trim levels, and the rugged durability you’ve come to expect from America’s favorite pickup trucks. While the 2019 Ranger isn’t available quite yet, the experts at Hutcheson Ford in St. James, MO have created the following page to highlight the features you can expect from Ford’s newest addition. If you have any questions regarding the Ford Ranger, contact our dealership at (573) 265-7015. 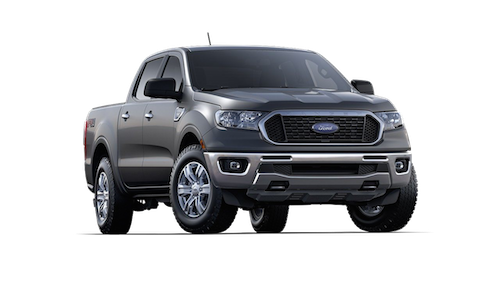 The 2019 Ford Ranger is available in the XL, XLT, and Lariat trim levels. Each trim level is equipped with a 2.3L EcoBoost® engine, with auto start/stop technology, and an automatic 10-speed transmission. A host of driver-assist technologies and off-road features are also available on select trim levels. XL vs. XLT vs. Lariat: What are the differences? Do you want to know the differences between the XL, XLT, and Lariat trim levels? The table below details all you need to know when it comes to exterior design, comfort, and technology. Are you anxiously awaiting the arrival of the 2019 Ford Ranger? The all-new Ranger is expected to arrive at Hutcheson Ford in St. James, MO early 2019. 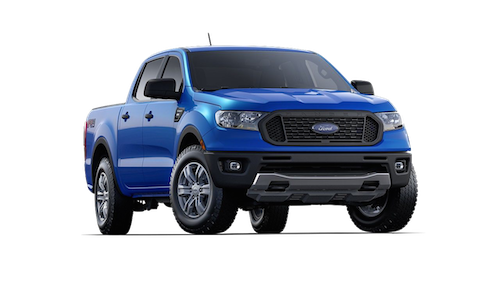 You can fill out our online contact form to receive a notification when the Ranger is available at our Ford dealership. In the meantime, browse our inventory of current Ford pickup trucks for sale, and schedule a test drive by calling (573) 265-7015. At Hutcheson Ford, it’s not what we do, it’s how we do it!